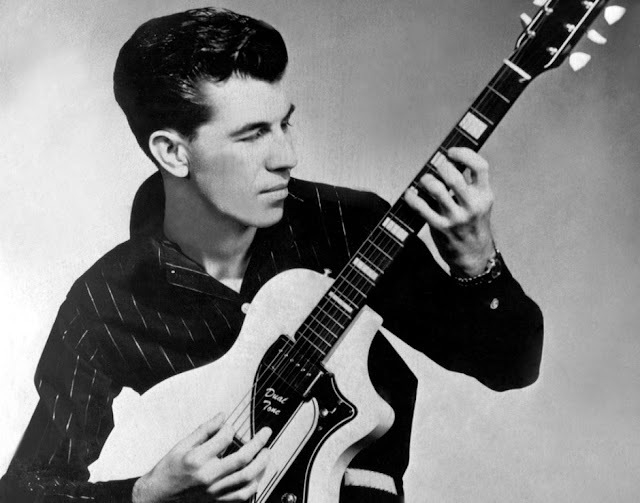 The story of Link Wray sounds like something straight out of a Hollywood movie. In 1937, a boy from the Shawnee Indian tribe was taught guitar by an African American traveling carny named Hambone in the segregated south. 60 years ago, legendary guitarist Link Wray released his influential instrumental song “Rumble,” and changed the face and sound of rock and roll forever. The song has now been inducted into the very first class of Rock and Roll Hall of Fame’s Singles. This marks the first time The Rock and Roll Hall of Fame has honored songs in addition to artists, and Link Wray’s “Rumble” was immortalized alongside five other singles. “Very happy to see Link Wray’s “Rumble” get its much deserved recognition by the Rock and Roll Hall of Fame,” said Dan Auerbach about “Rumble’s” induction. “It’s a song that changed everything and influenced all that came after it. It's now time for that impact to be fully recognized and for Link to be inducted to the Rock Hall as an artist, where he always belonged.” Read the full details about the song’s induction via Billboard. Dan Auerbach’s label, Easy Eye Sound has released “Son of Rumble,” Link’s intended, but never released follow-up to the song that introduced the world to power chords and intentional distortion. “Son of Rumble” is a never before released or heard track from the Link Wray archives, and the song, along with b-side “Whole Lotta Talking,” is now available as 7” vinyl here. Link Wray’s “Rumble” became a flash point for countless musicians including Rock and Roll Hall of Fame inductees Neil Young, Bob Dylan, Pete Townshend, Iggy Pop, Steven Van Zandt, Jeff Beck and Elvis Costello. The song was banned in New York, Boston, and Detroit, for fear it would incite juvenile violence, making Wray the only artist in history to have a banned instrumental. In 1953, that boy became a Western Swing musician who played the wake of Hank Williams. By 1957, he was a Korean War Veteran who lost a lung to TB and was told he’d never sing again. Yet, Link Wray spent the next half-century as the only one-lung singer in rock and roll, and lay the foundations for what the genre would become. The impact of Link Wray, one of Rolling Stone’s Top 100 Guitarists of All Time, can be heard in generations of American and British metal, punk, grunge, thrash, and psychobilly rockers, all of whom have claimed him and “Rumble” (and follow-ups “Raw-Hide” and “Jack The Ripper”) as their own.